Nobody likes to talk about the F-word—Failure. However, acknowledging failure and understanding why do projects fail is the best way to avoid making the same mistakes in the future. The next time you encounter project management failures in your company, look inward to see what went wrong and take appropriate steps to eliminate the issues. Successful projects have a great project leader, good project teams, and know their weaknesses. Even though every company is different, there are some common themes in project management failures. One of the most important things to do to avoid failure is extensive planning. At the onset of any project, all stakeholders must be in total alignment on goals and expectations. This ensures that all stakeholders make appropriate adjustments to plans, costs, and schedules to march a clear path towards the project’s goals. This includes project scheduling, resource allocation, supply chain failure, meetings before the onset of a project, etc. Not including subcontractors into the design and pre-construction phase is a major contributor of poor project planning. They are the subject matter experts in constructability and must be included in this phase. Including them in this phase takes more effort and time on the part of the subcontractor. However, this ensures they are also in alignment with the owner and designer’s expectation. Even though extensive planning can be time-consuming, all planning efforts will make the entire team feel more prepared and capable of handling any situation that may arise. Poor management—whether it’s people management of project management— is crippling to the success of a project. With regards to poor people management, this includes not being able to effectively manage teams. A good manager will know the strengths and weaknesses of his team. Additionally, the manager must be able to lead the team and ensure they are complete their tasks accordingly. While the individuals are responsible for their individual tasks, the manager is responsible for the collective project. Poor project management is the inability to gain a handle on the project’s schedules and costs. A manager who cannot handle the task at hand will not be able to successfully manage his team and materials in an efficient way, which will cost the project manager money, time, and credibility. Their poor management is likely to cause higher failure rates on projects that they work on. An effective project manager must be able to identify issues in a project, adapt accordingly, and rally the troops to move forward. Without appropriate leadership in place, project failure is inevitable. Any given construction project requires communication from management all the way to the field. Whether project team members transmit information verbally or written, it’s important that they create the appropriate documentation to mitigate any risk. Documentation tracks communication. Therefore, the best way to combat miscommunication is by using a mobile cloud-based project management technology that will allow all team members to communicate in real-time, and that will store all emails in one centralized database that anyone on the project can access. This will streamline the communication flow in increase project transparency so that everyone will be on the same page throughout the whole project. Due to the complex nature of construction projects, risk is inherent and impossible to remove entirely. However, not adequately identifying, prioritizing and managing risks is why projects fail. During the planning phase the team can identify potential project risks at the onset and develop appropriate risk mitigation plans. Not adequately planning for risk (either through financial and time contingencies) during the planning phase will lead to higher costs and delays during later phases. Again, effective planning ensures that your team is not in a situation of risk management gone wrong. More importantly, regular meetings and touchpoints with project stakeholders can help to manage risks proactively. When project failures occur, there is a lot of finger pointing. Nothing brings morale down more than when people place blame on others. However, individuals must be held accountable for completing their tasks in a manner in accordance with time, quality, and cost expectations. Failure occurs when members of a team do not have access to relevant information when they need it. The solution to this is project management software that will keep all documents in one place with exceptional security and accessible to authorized personnel at anytime. This creates an easily traceable audit trail and clearly defines all decisions and changes made throughout a project. These causes of project failure happen all the time, around the globe, and in companies of all ages and sizes. However, these causes are avoidable with the right people, workflows and tools to get the job done. A good project manager is able recognize the red flags of a project. This ability will allow them to catch and address issues before they become problematic. Early detection of any potential issues is the difference between a small amount of rework and devastation to the entirety of a project. The biggest risk to profit on construction projects is labor. Therefore, time cards are critical to tracking labor costs and labor efficiency. Project management software with integrated time card capabilities allows project managers to track real-time labor costs. Comparing actual labor costs to estimates throughout the project promotes proactive planning and risk management. With project managers located in the office, they have limited visibility into jobsite activity. Daily reports are a critical tool to solve this problem. Daily reports are a great way of kowing the project schedule, project time line, how the teams work together, as well as are a starting ground to note any lessons learned. Many foremen have tablet or a mobile device. Project management software with integrated daily reports capabilities allows foremen to capture jobsite photos, document issues, labor hours, units installed, comments or other important information to track jobsite activity. When completed, this information is stored in the project management software, so that the office team can review and manage any issues as they happen. As mentioned previously, not managing this process and communication effectively can lead to project management failures. When important items such as Change Orders or RFIs are delayed or lost, that can result in dollars that are lost as well. This great article on document control software shows the reduction in paperwork while providing greater visibility into project communications and documentation. All project related communications is easily accessible from any location in the form of a virtual filing cabinet. The interesting thing about project management failures is the “surprise” factor. What usually happens is that poor reporting of a project’s status causes everyone to in the dark of the project’s issues. However, with project management software and other jobsite technology there is so much data available to accurately track project progress: labor hours used, materials installed, production information, etc. Numbers do not lie, which is why data and reports are critical. When teams actively track project progress and financials, there should be no surprise that the project is a failure. The Millennium Dome was a huge construction project in London meant to celebrate the third millennium. Its original function was to serve as a soccer field for a London soccer team that was yet to be determined. This Dome, however, didn’t bring in the foot-traffic it had anticipated and failed to interest any soccer teams. The owners sold it shortly after its creation. Here are some of the warning signs. What did Millennium Dome do wrong? — Poor planning: Millennium Dome was unable to create and adhere to one vision. The purpose of the project was constantly changing, creating confusion among the team. They also ran into financial problems, as the maintenance costs were not properly accounted for in the planning and estimating phase. — Poor execution: A failure to execute their purpose caused them to receive negative word-of-mouth and press which damaged their reputation. — No plan B: The PM did not have a back-up plan, so when the project started to run into hurdles, they had no other choice but to deal with the chaos as it came. 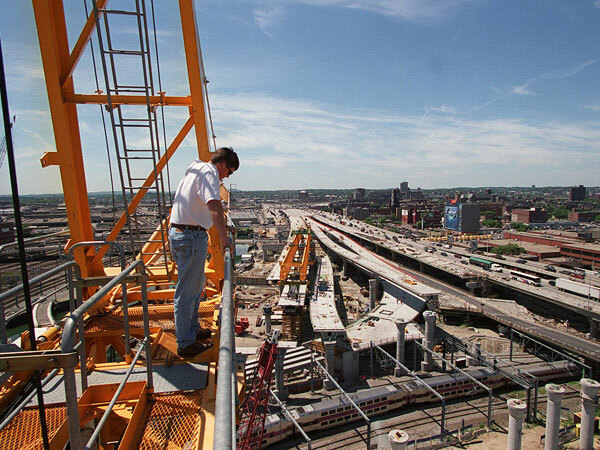 The “Big Dig” in Boston was designed to create a long tunnel to re-route the current interstate freeways. This project faced problems with unforeseen challenges such as physical barriers, scheduling flaws, and design mistakes. This project finished nine years later than its original completion date (16 years in total) and ended up costing over 20 billion dollars. What did the “Big Dig” do wrong? — Poor planning: They did not properly schedule the project in a way that allocated labor and materials accurately and effectively. They faced many scheduling issues, and underestimated the magnitude of the project by a devastating amount. — Poor risk management: They did not consider possible challenges such as the physical barriers in the ground and the extra costs that were incurred due to external and internal factors. — Poor execution: They failed to meet their pricing and timing budgets due to inaccurate estimation and planning. Do not shy away from your project management failures; they are the backbone of your future success. They help inform you of Rather, understand your failures and take appropriate action to mitigate them.